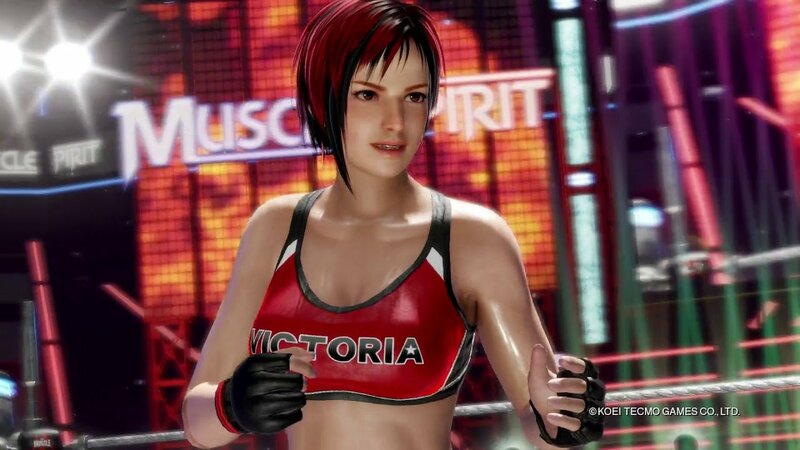 Dead or Alive 6 is taking things in a "shocking" new direction with the introduction of "The Muscle," the game's professional wrestling organization, made up of characters Bass, Tina, and Mila. Oh, and it's also introducing an electrified wrestling ring. That should get your blood flowing. Bass is the "King of the Ring," and also happens to be superstar wrestler Tina's father. Tina's no slouch of her own, as she's known in the ring as "The Superstar of a Thousand Dreams." Rounding to the trio is Mila, "The Hot-Blooded Champ." Mila hops in the ring in the hopes of taking out Bass, her longtime rival. All three characters will be playable in Dead or Alive 6 with the new wrestling stage "The Muscle," and there's even a new surprise coming to the game that you might not have known about as well: the ring ropes in "The Muscle" arena stage will be surging with electrical current. So watch out while you're duking it out with others in the ring, as you might get a little shocked while brawling. Are you going to be picking up Dead or Alive 6? Let us know in the comments below!